Interested in learning more about managed care pharmacies and how your organization can enhance patient engagement by utilizing new innovations in technology? 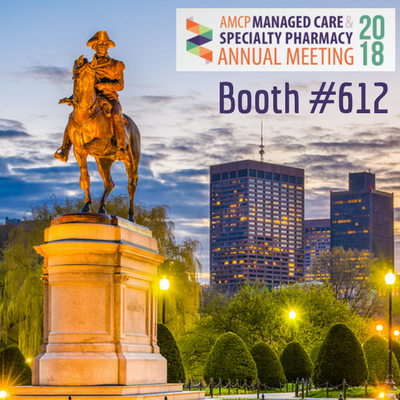 Join us at the 2018 AMCP Managed Care & Specialty Pharmacy Annual Meeting April 23 – 26 in Boston at the Boston Convention & Exhibition Center. Connect with other industry professionals and discover how digital transformation is impacting each and every managed care pharmacy. While you’re there, don’t forget to stop by Booth #612 to discuss our new Campaign Manager solution that simplifies the creation, management and ongoing coordination of patient campaigns for voice and text. Be sure to have your badge scanned by one of our booth staff for a chance to win a new Apple Watch Series 2 or a $350 donation to a non-profit of your choice.